Full Video of “Re/Genesis” Dance Show Now Available! I'm excited to share the news that the video from the "Re/Genesis" dance show produced by Freeplay Dance Crew, in collaboration with Prince on Point, is now online. 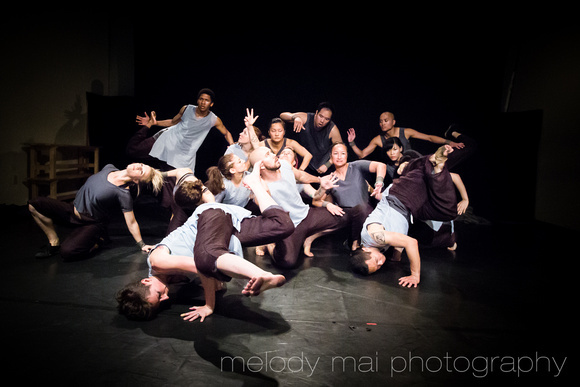 A multi-genre exploration of spirituality as told through movement, "Re/Genesis" was a labor of love created by 16 amazing dancers, and performed in April 2013 at The Garage in San Francisco. This YouTube version contains the raw audio from the camera, which is not the cleanest. But otherwise, I'm happy with how this turned out. If you want the best version, there is also another version available on Dropbox. This version has been re-synced with the original audio tracks, so is much easier to watch. Alas, when I uploaded this version to YouTube, it was rejected for copyright claims. You can watch the first 15 minutes online, but for the rest you are going to have to download all 4.74 gigs of it. Just click on "more actions" in the lower right corner and then download to get the whole gigantic file. Special thanks to Jim Thorpe our videographer for his work on this!